Nicaragua Travel Guide & Tips | Travel. Made Simple. Summit a Nicaraguan volcano, just before sunrise. Mail a hand drawn picture – smudged with ink, melted by molten- to my mom. Accommodation: Dorm rooms cost anywhere from $6-$12 with shared bathroom. $17 for double room with private bathroom. 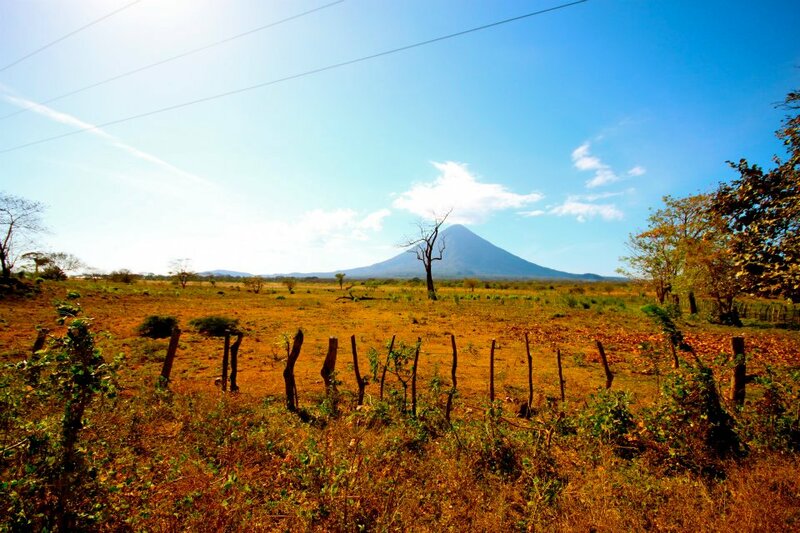 Hospedajes are small, family-run guesthouses which are a popular option throughout Nicaragua. Prices for hospedajes cost around $20-25/night. Food: Eat locally and you can eat as cheap as you want! I enjoyed feasting on gallo pinto each morning, and while some might find this boring, I found it delicious! Included in this popular Nicaraguan staple is rice and beans, meat, fried plantains, and sometimes a fried egg on top. This yummy (and filling) dish will run you about 35-40 córdobas, or under $2 US. Other tasty food options include nacatamales (a Nicaraguan tamale filled with meat, veggies, rice and seasoning), tajadas (like a potato chip, but made of plantains) and for something sweet, tres leches cake. Transportation: You have a few different bus options, including local, express minibus and shuttle buses. For some of the more common bus routes, you can check out this site which details the different bus schedules. The site is all in English. Taxis are another reliable option, particularly for travel within cities. Rates are priced depending on time of day, and can be subjective depending on the driver you ask. Ask around, and you should find a reasonable fare! Etiquette: Tipping is not common in Nicaragua, unless you’re at a higher end restaurant or are on a guided tour. What to do: Hike, surf, swim, chill. Take Spanish classes in the colonial city of Granada, or hang with expat surfers in San Juan Del Sur. When to visit: Many people suggest December to be the best time to visit the country. This is right after the rainy season when the Pacific Coast is still deliciously green, and well before the peak of the dry season when the country is hot and dusty.